All our sites are built around quality to get REAL RESULTS. Success Comes From Thinking OUTSIDE The Box! 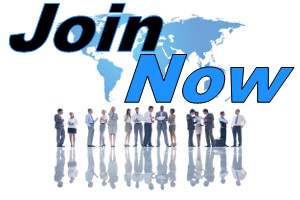 Promote GT Marketing Group To Build Your Downline In ALL Our Member Sites. Think you have what it takes to launch your own site? We Can Help You! In the world of Online Marketing EXPOSURE is everything, thats why the GT Marketing Group created their Advertising Co-op. All of our members have the opportunity to get some great exposure where their 125 x 125 Square Banner Adverts will be displayed to THOUSANDS of marketers on websites where the ads have been placed in prominent positions to ensure that they catch the eyes of Your potential customers. You can register FREE and take full advantage of the QUALITY Based Downline Builder which features only sites with a proven track record of delivering results ,being focused on their primary purpose. So Join Now For Free, so that you can start benefiting from the GT Marketing Group, and don't forget to check the Login Offers, you won't see them inside the site! © 2015 GT Marketing Group. All rights reserved.